We are excited to introduce you the new version we released today which includes important changes you, our customers, have been asking for. 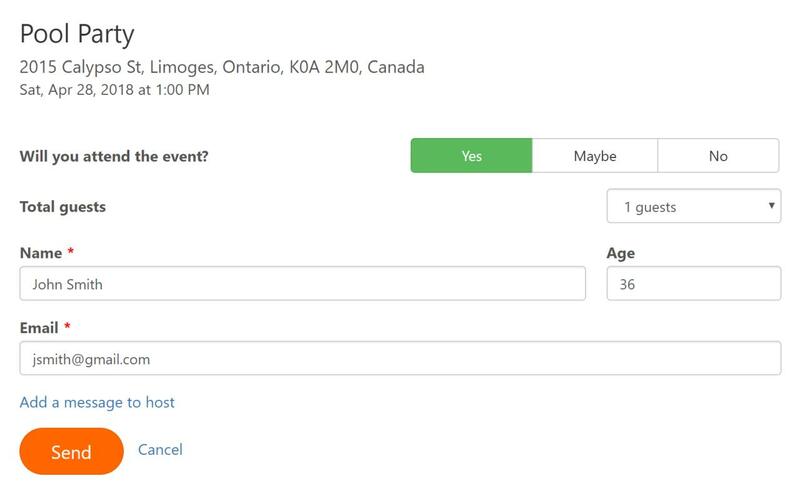 First, the RSVP form has been moved from popup dialog to dedicated page. We believe it will make user experience much better as a popup dialog had limited space and could be closed by mistake without submitting RSVP form. 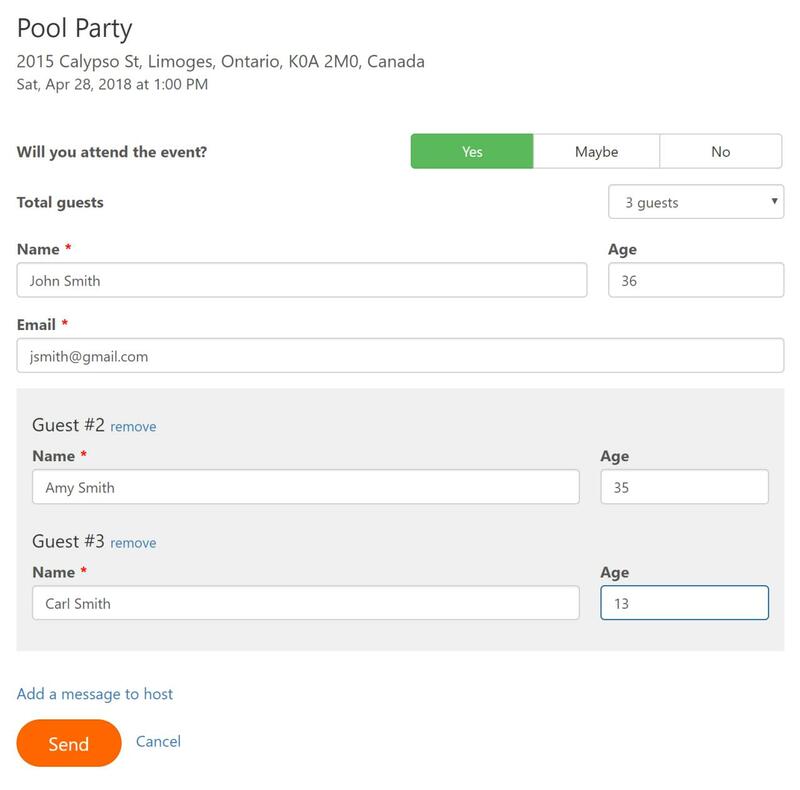 Also, guests can now enter information about their accompanying person(s). To do that a guest needs to click on the blue link 'Add other guests information' after changing the total number of attendees to more than 1. Clicking on the link will show up the list of inputs for the information about accompanying people to fill out. Finally, guests can sign up or vote for the accompanying people they specified during the RSVP. It can be done by changing guest name in drop-down menu on corresponding tab.